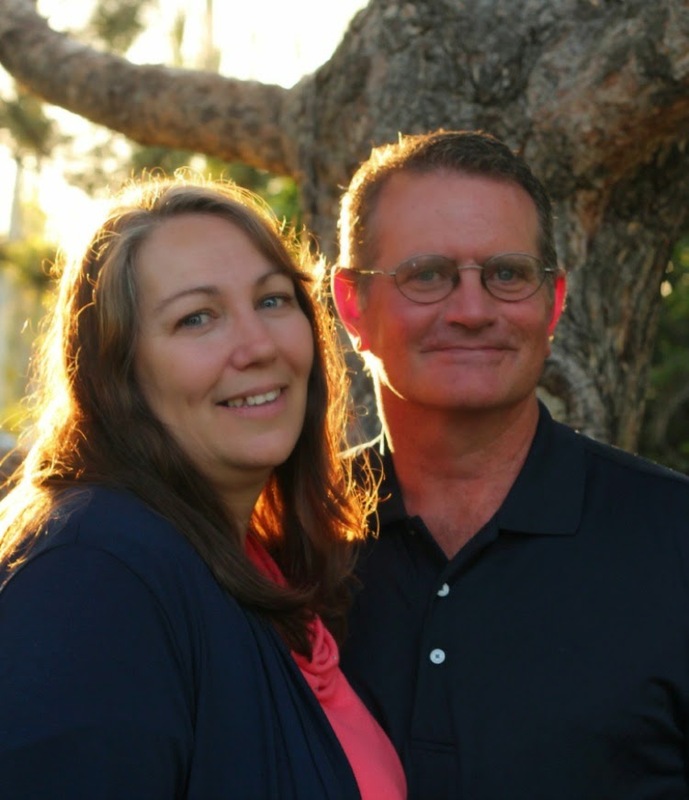 Since tomorrow is Mother's Day I wanted to sit down and write a little bit about my mom. I feel like I really lucked out, I have a pretty amazing mom. She is someone that I look up to and hope to be like, a great example to me of what kind of mother I want to be to my own children. I feel like I my mom is the one who taught me to love creating and making things. I grew up watching her make things, most often to give as gifts to other people. She is the one who taught me to sew and crochet and pretty much any type of craft. I have very early memories of my mom making things and teaching me to make things. I remember lots of little baby outfits, homemade t-shirts and pants or little crocheted dresses. I think that everyone that my mom knew who had a baby got an outfit or some little gift. She still tries to make sure that everyone who has a new baby gets a gift just to let them know how special each baby is. She taught me that I can use my talents to bless the lives of other people. I think that is one reason why baby gifts are some of my favorite things to make, it might also be the fact that I get easily distracted so I like smaller projects that I can finish quickly. My earliest crochet memories involve a lot of magnets. 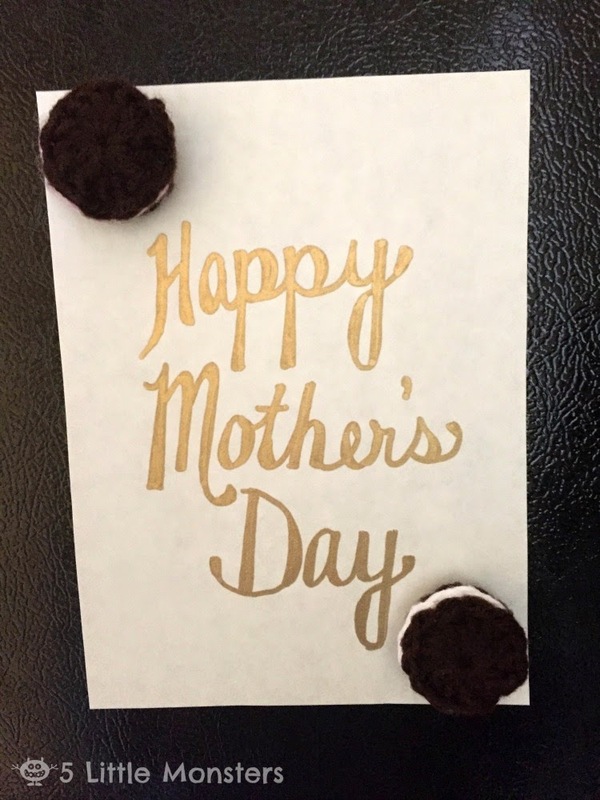 I remember my mom making lots of Oreo cookie magnets and butterfly magnets. 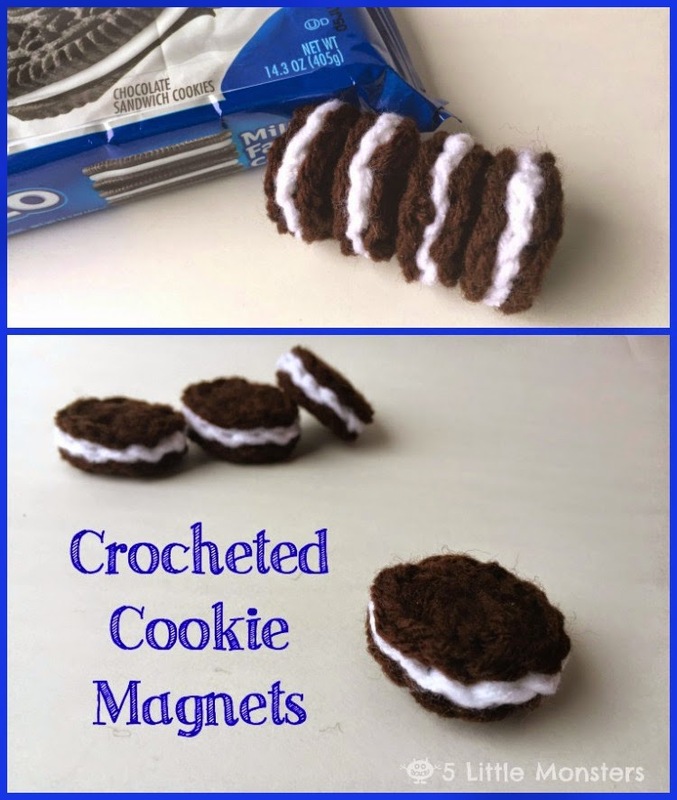 I will share the cookie magnet pattern at the end of this post (it is really easy, just three circles layered together). We always had those two kinds of magnets on our fridge and I think she made a bunch to give to people as well. I don't remember when exactly my mom taught me to crochet but I know I learned from her. My mom taught me to sew and the first thing that I remember sewing was a quilt made from scraps of corduroy. Probably not the best choice since corduroy frays and as an 8 year old I was not very good at staying 1/4 inch away from the edge so after one time in the wash my quilt pretty much fell apart. Somehow, even though my quilt didn't last, that experience began my love for sewing. It was still a good memory and a positive experience. I was so proud of that first quilt. Eventually I got better about keeping my seam allowances even so things don't fall apart quite so easily. I am so grateful to have a mom who has taught me to be creative and encouraged me to develop my talents and who made me feel like I could do anything I put my mind to. I hope that I can do the same for my children. My daughter has been asking me to teach her to sew and I am excited to have those experiences with my own daughter like I had with my mom. Now for the cookie magnet pattern. This isn't exactly how my mom made them but I think it is pretty close. My mom always made them dark brown with white in the middle but as I was making them my daughter pointed out that there are a lot of flavors of oreos and some have other colors of cream or cookies. We just tried the berry ones last week and she really liked those so I made one for her with pink in the middle. On one of the cookie circles make sure to leave a long tail when you finish, you will use that to sew it together. To assemble your magnet, first weave in or tie off all of your ends except the long tail you left on one of the cookie sides. 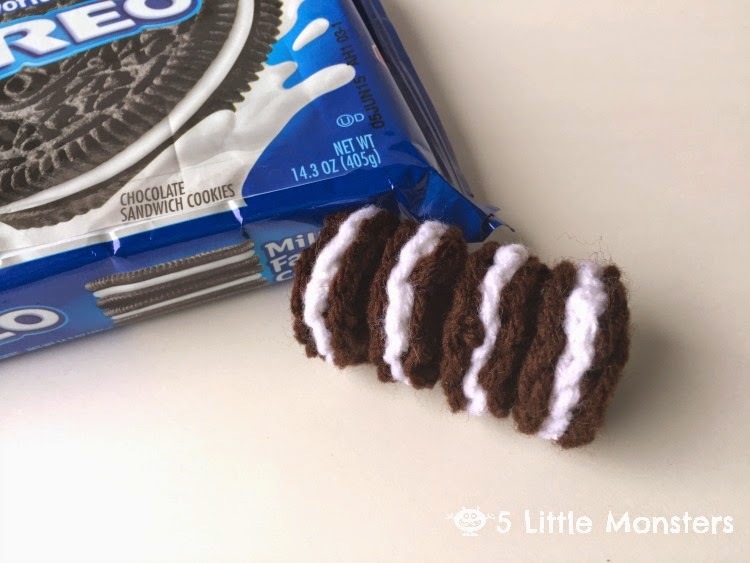 Stack them so that the cream is between two cookies and use your long tail to sew the three layers together. Weave in that end to secure it. Hot glue your magnet to one side. That's it, super easy. 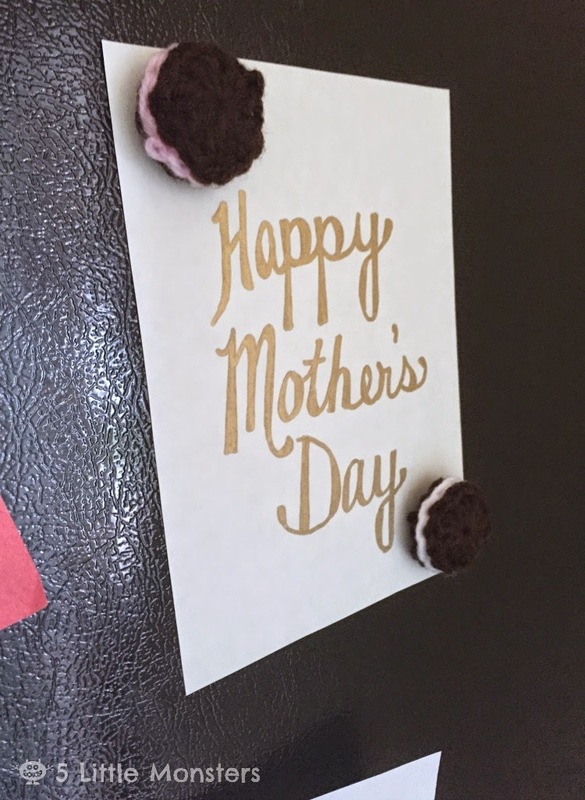 Making these brought back a lot of memories for me because, like I said, I remember my mom making them and they were always on our fridge when I was a kid. My kids thought they were pretty cool too. They would even be fun to use as play food instead of magnets.